Please complete the above CAPTCHA. Please enter an email address and/or phone #. Please enter a message so we know what you're interested in. Your message has been sent! We're open 9AM-5PM, Monday through Friday. A Suite Salon prides themselves on their premium, luxuriously furnished suites—which we loved highlighting! Their exquisite, fully-furnished suites allow stylists, colorists, manicurists, and more the ability to start an upscale salon with little overhead. To market their turnkey entrepreneurial salon business and franchise opportunities, A Suite Salon turned to Green Group Studio. 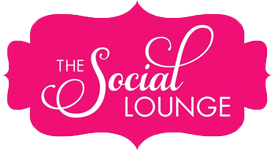 The iconography of A Suite Salon was developed to reflect the transformation from salon employee to spreading your wings and being your own boss. GGS cleaned up the logo and introduced more colors to the brand for business card options. The client liked the different colors of the business cards so much, he had all three versions printed. GGS designed eye-catching magazine ads, direct mailers, and eblasts to reach prospective A Suite Salon tenants and franchisees. The high-fashion and modern look was developed to reflect the European-styled suites. 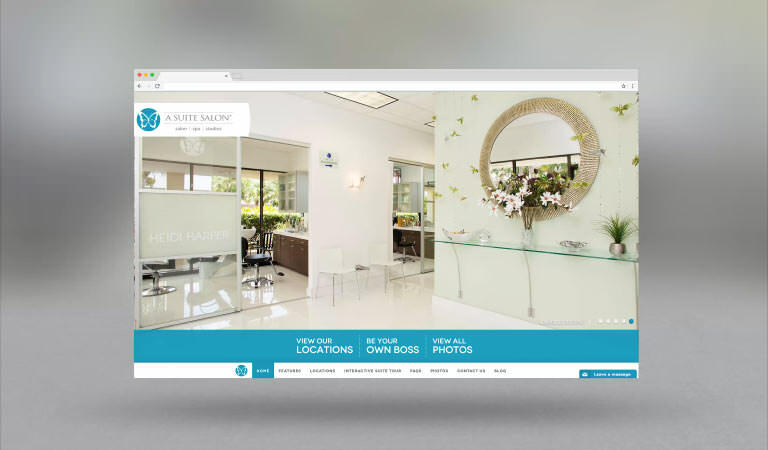 A Suite Salon asked GGS to build them a website that was informative and easy to navigate—and we did that and more! The website is contemporary in every way, from clean coding to modern responsive design. Visitors can view A Suite Salon locations, take a virtual tour, browse photos in the gallery, and reserve their very own suite by filling out the simple application form. © 2016 Green Group Studio. Built with ♥ by the whole team. Take a look at this project without leaving our website. Just click Close when you're done.